We all know I'm Doctor Who trash, right? Like this isn't new information, or anything. If this is, then I'm really not running this blog right. I really love using my library and audible account to access Doctor Who and Torchwood BBC audios from 2006-2010 whilst I fall asleep in bed. And thought I would review them and share my thoughts. The TARDIS is lost in battle on a distant planet. 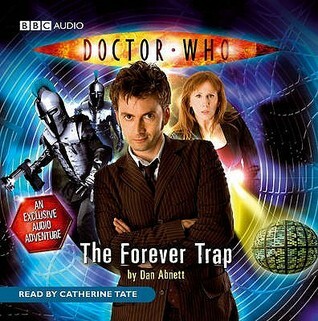 When the Doctor sets off in pursuit, Donna is left behind, and finds herself accepting a commission in the Pioneer Corps. Something is transforming soldiers into monstrous beetles, and she could be the next victim. Meanwhile, the Doctor steals a motorbike and stages a jailbreak. Well, how hard can it be to find the TARDIS, rescue Donna, and negotiate a peace? But that’s before the arrival of a brutal and remorseless mechanical exterminator, bent on wiping out the insects. It may be that nothing can stop it, because this robot’s solution for the infestation is very simple: kill everything. The plot for this one was rather generic and didn't push the restrictions that get put onto a 45-minute television show. It relied on the "companion gets seperated from the Doctor" trope that happens a lot, and for that I didn't get all Doctor and Donna interaction I enjoy and it felt like it got a little lost in the middle. I will say that the dialogue was tight and presented the characters as we know them individually. 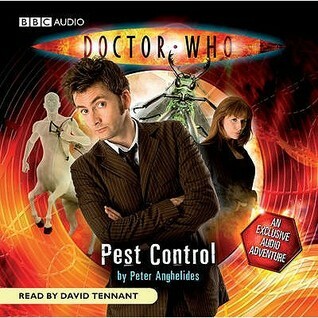 David Tennant as a narrator is like a warm tartan blanket that I haven't taken off since I was seven. I find a great comfort in his skills as a storyteller. His accents varying from his Scottish brogue to Irish to Australian to the Doctor's Estuary English to Donna's attitude - he read smoothly and without hesitation. When the TARDIS is invaded by a holographic marketing scam, the Doctor and Donna find themselves trapped on the Edifice, a purpose-built complex of luxury apartments in space. Their new environs leave much to be desired: millions of beings from across the Universe have been gathered to live side by side in similar apartments. Instead of creating neighbourly affection, it’s led to terrible battles being waged in the corridors and on the stairwells. The Doctor and Donna must cross the paths of deadly alien mobs as they search for the Edifice’s ultimate authority. Who - or what - lies at the heart of the incredible complex? What destructive scourge is eating away at the Edifice itself? And are the Doctor and Donna trapped forever in this living hell? This is my favourite out of the three, so far. I loved the take on marketing scams, and the notion that even in Time and Space - you are not safe. I found myself deeply engrossed as the Doctor and Donna explored the Edifice, so did we, finding familiar and not so familiar aliens, and the way this brought an added conflict with the main mystery puzzle. Abnett's description of the Edifice and how it worked in its infinite capacity was vivid. For some scenes I would have loved to have seen in a visual medium, and believe would have made for great television. 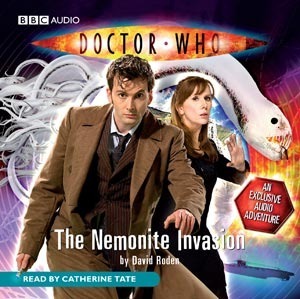 Catherine Tate did a fantastic job at crafting a variant of voices for the various alien creatures that the Doctor and Donna encounter, as well as her great interpretation of The Doctor. I struggled to get into this one. I've never really been one for the stories set during World Wars or set on military bases, so perhaps that falls onto me. But I just wasn't feeling this one. All throughout there's this really annoying habit by the writer to use every mannerism ever used to characterize Tennant's Doctor. Like, every single one. I ended up feeling like it was tedious and a little ridiculous? The only thing that made these tolerable was Catherine Tate's execution of the Doctor. What I did really like was Roden somehow managed to make me care more about the human's - who they were and their backstories - rather than the alien invasion. It gave it a new set of pace that I really found fresh.